Please take a moment to answer the following questions. Your feedback is important to us! * 1. How do you primarily use the law library? I visit the library in person. 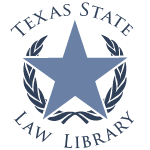 I use the library's digital collections (e.g., website, FAQs, research guides, legal databases, e-books). I contact the library by phone, email, fax, or mail. I do not use the library.